Advice to help get you started with your Early Learning and Childcare career. Start college or start a job? Complete a course (with work based practice) and then apply for a job. Apply for a job and train as you work. Apply for a Modern Apprenticeship and train as you work. Tip: You can get a job as a Support Worker or Practitioner without any relevant qualifications, as long as you achieve a relevant qualification within a few years. With a wide number of roles and qualifications available, you can build your career according to your preferences and circumstances. You might start as an Early Learning and Childcare Practitioner then become a Manager later down the line. It all depends on where you are now, what your goals are and where you see yourself in the future. There’s no set career path in Early Learning and Childcare. So, if you start working in one particular area, you can always change direction if your interests and situation change. There are lots of routes into Early Learning and Childcare. There are no set career paths but rather a range of ways in which you can develop your practice and skills to reflect your career development. 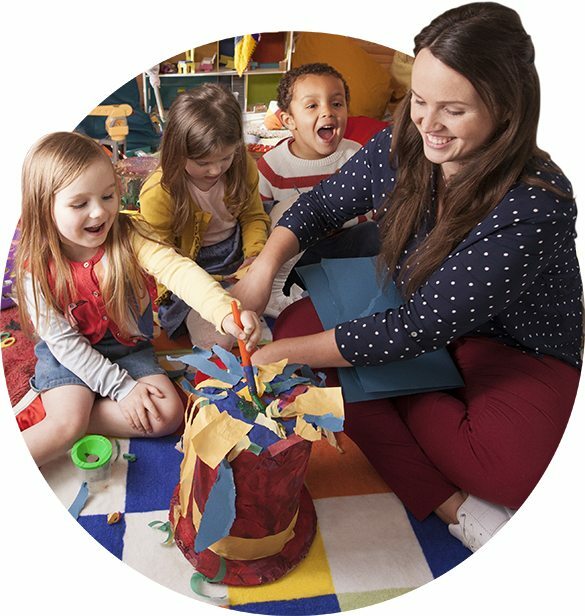 To find out what a career in ELC could look like for you, visit the Scottish Social Services Council ELC careers website. Or use this link to find out if your existing qualifications might be recognised towards your learning journey. Your preferred learning provider will be able to help you determine if your experience and skills – or any existing indirect qualifications – might also be recognised as prior learning. help them develop emotional resilience and coping mechanisms which last a lifetime. Before you start working in Early Learning and Childcare you will need to join the PVG Scheme through Disclosure Scotland. You will also need to register with SSSC, the regulator for people working in social care in Scotland. There could be jobs available in your area. View live jobs now!